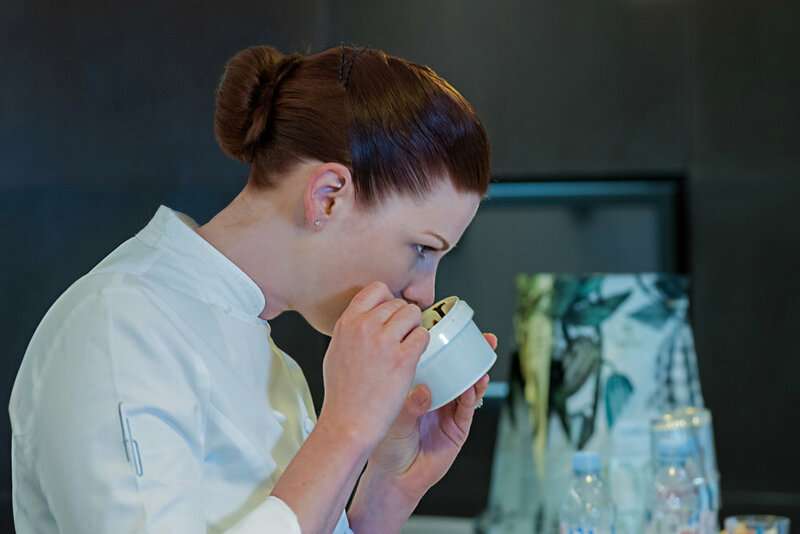 In collaboration with world-renowned French chocolate brand Cacao Barry, Fontainebleau Miami Beach’s Executive Pastry Chef, Brielle Fratellone traveled to the French chocolatier’s lab, Or Noir™ in France to customize the recipe for Fontainebleau. The resort now offers a unique chocolate bar, signature pralines and petit gateaux sold in the hotel’s signature coffee and patisserie shop Chez Bon Bon, and desserts in the hotel’s signature restaurants including StripSteak by Michael Mina, Scarpetta by Scott Conant and Hakkasan, all using the FONTAINEBLEAU SAPPHIRE NOIR™ recipe. 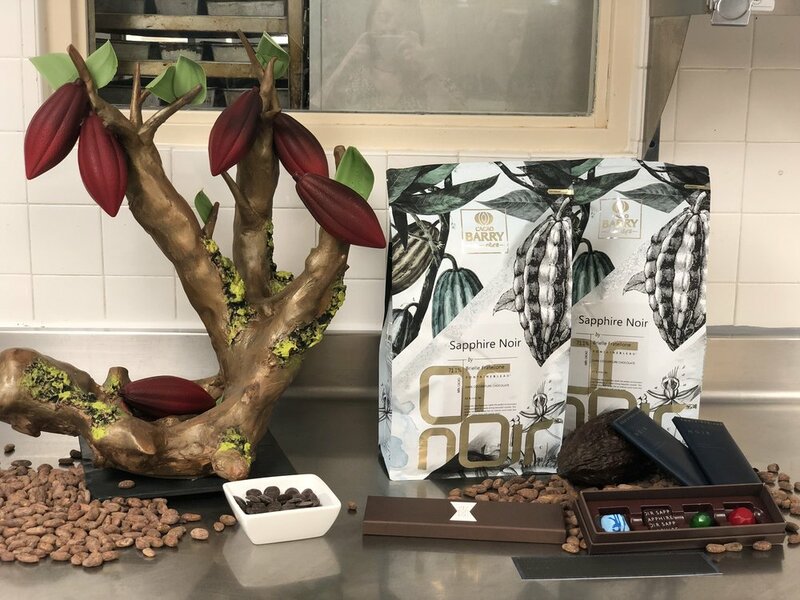 Chef Fratellone tasted over 20 cocoa masses and chocolates from different countries around the world in order to formulate the ideal dark chocolate recipe. The recipe for Sapphire Noir incorporates cocoa beans from The Dominican Republic, Ecuador and Mexico and features an intense cocoa taste that reveals yellow fruits with woody notes. The FONTAINEBLEAU SAPPHIRE NOIR™ name describes the relation between chocolate and jewels, each which must have the perfect environment, temperature and ingredients to produce strong, beautiful crystals. Similar to crystals, chocolate must be worked with in the perfect temperature and environment in order achieve the ideal texture and flavor. Back in March we were invited into the pastry kitchen to check out the new line of chocolate (after we had a few chocolate inspired cocktails at Scarpetta), and even got the chance to make our own plated dessert for the evening using the chocolate in multiple forms. If you haven’t stopped by the Fontainebleau lately, this is the perfect reason to make a trip over for dinner and drinks — making sure you save room for dessert!